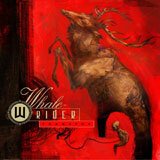 Whalerider is, first off, a BRILLIANT name for a band. How did no one come up with this one before? These Germans have mixed us up an album oozing with 70s psychedelica, stoner rock and some dashes of doom to bring us Thanatos. First track proper, What’s In Your Head? is a swirling, ethereal piece with some grooving guitar riffs and spacey vocals. The vocals of Max Feibel are full of ghostly harmonies, and Whalerider could be a softer, more psychedelic Monster Magnet in parts. The melodies soar above some funky, stoner riffs that Josh Homme wishes he’d written. The dusty groove of Devil Got Me mixes with some softer verses that are pure progressive rock. We’re only two tracks in and I’ve already got a feeling that this could be a just-too-latecomer for my doom records of 2014. Thanatos mixes its ingredients subtly. There are riffs that could scythe cliffs, laden with deep Southern groove. There’s delicate acoustics like the intro to Feed My Affection, which then delivers some awesome bluesy lead guitar moments. There’s loads of cool, spaced out jamming, which coupled with the heavier groove, becomes what Whalerider is clearly all about. The title track itself delivers all these factors in one mighty nine minute trip. The groove is there, but the psychedelic jam in the middle is truly special. It provokes an atmosphere; like looking up at the stars on a cool, desert night. And then watching one of those stars come crashing down, slowly, inexorably drawn to you. The rocking I Am Tarantula adds a welcome slice of rock to the proceedings, and acts almost like an interlude (along with the quiet Mr Pestizid) between Thanatos and the electronic infused Sleepy Hound. By far the greatest riff here is the chasm carving opener to Found A Lie, that even when it dips lower behind the vocals remains essential. It’s one of those great, head nodding grooves that is so simple and yet so rare these days. It’s ludicrously memorable, and provides my favourite moment here. Thanatos singlehandedly has revived my interest in this kind of music. Whalerider is not scared to bring the heavy, black and white groove when required, but all the shades of grey in between are the interesting parts. Of course the riff that runs through Self-Destruction is righteous, we all know that. But it is moments like the ethereal middle part of Thanatos or the soaring vocal harmonies in Sleepy Hound that really show the special nature of Whalerider. The first stoner rock/doom record to elicit anything other than a ‘here we go again’ feeling in me in months, and it feels great.